This is Anna from the movie Frozen. I still have to embroider her nose and white hair streak, but I am excited by how well it turned out! The pattern is free on Craftsy and was drafted by Sew Much Mischief. You can see her blog post about this block here. Of course, it only made sense that I would buy the movie soundtrack and listen to it on repeat while sewing this block! I made a couple of changes. I enlarged the block to be 12.5″ unfinished (12″ finished) so I can pair it with some snowflake blocks that are the same size. Considering how small the pieces were for her eyes, I’m doubly glad I made that adjustment! Also note the Elsa pattern as two letter M pieces; if you look at the piecing order, you’ll see right away which would should actually be an N. Finally, note that not all blocks are the same size. You may need to adjust if you plan to make a quilt with the blocks. Perhaps best of all is that I made this block entirely from fabrics I already owned. I got a high five from my fiancé for that! I wasn’t too sure about the hair color at first. It’s an oakshott cotton with woven threads in brown and blue, but it looks great against Anna’s purple cape. Most of the rest were various Kona fat quarters. Sew Much Mischief also has free Craftsy patterns for Elsa, Olaf, Kristoff, and Sven. Happy sewing! Categories: Quilts | Tags: anna, anna quilt block, anna quilt pattern, craftsy, disney, disney's frozen, free anna quilt block, free anna quilt pattern, free frozen quilt block, free frozen quilt pattern, frozen, frozen quilt block, frozen quilt pattern, kona, kona cotton, oakshott cotton, paper pieced anna quilt block, paper pieced frozen quilt block, paper pieced quilt block, paper piecing, polka dots, quilt, quilt block, quilting, resize, sew, sew much mischief, sewing | Permalink. OK, that’s cool. I’ve never really seen pictures made by quilting before. So awesome! 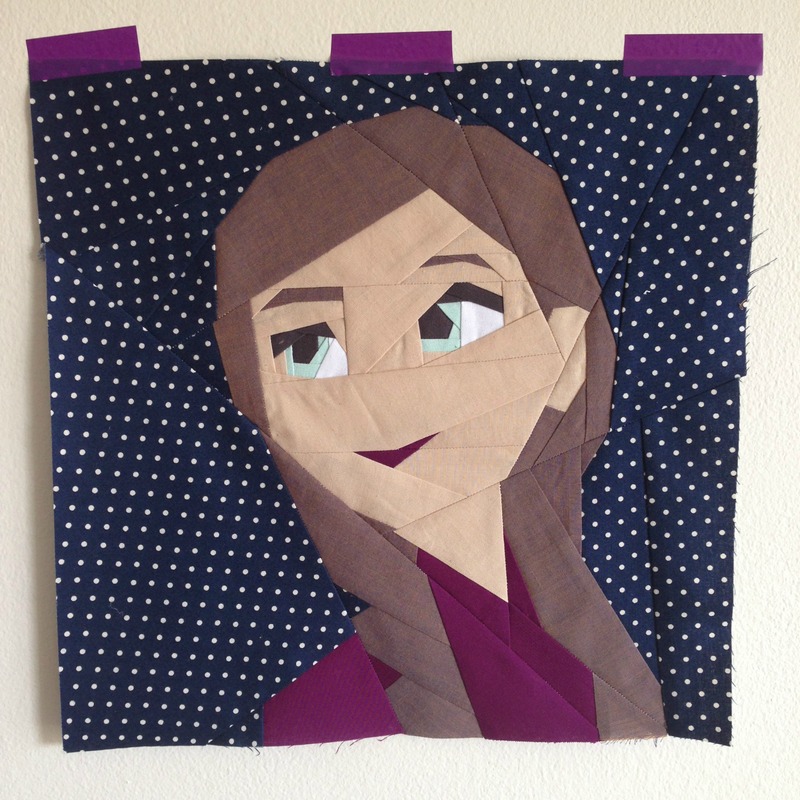 I tried quilting once, and it was harder than I thought it would be. So, bravo! I really appreciate the comment, Inna! 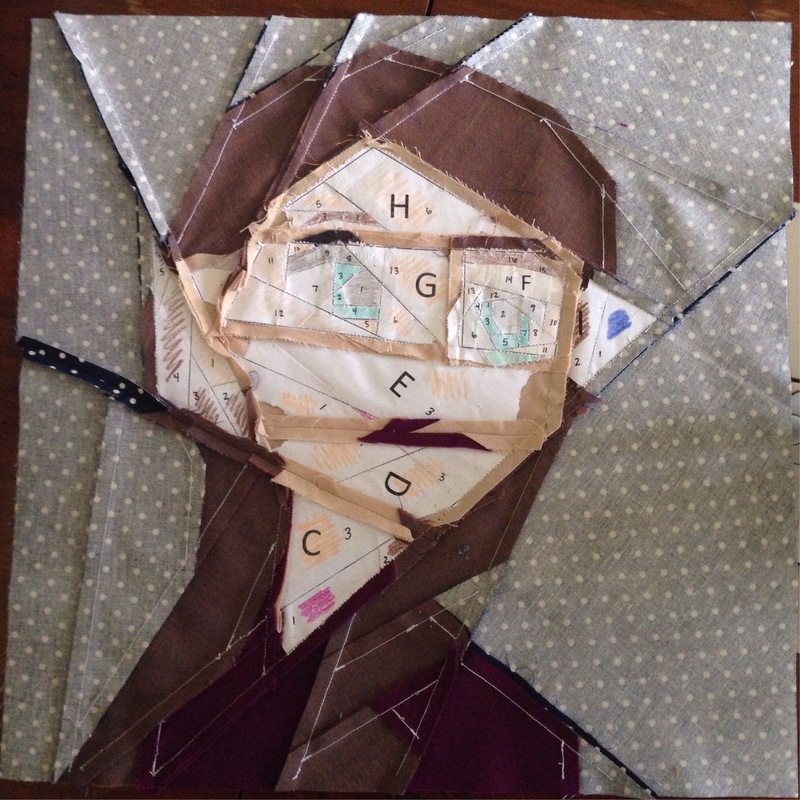 Quilting itself isn’t too hard once you master the machine… but some machines are awfully temperamental!